Google has declared that it will consider page speed as SEO ranking factor that means you have to have a website that is fast both on the desktop and mobile ecosystem. 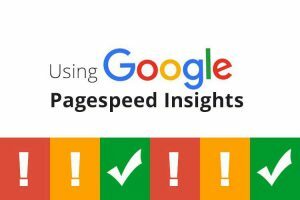 Now, that is something you cannot ignore therefore, it is important to understand the page sped metric that Google has recently revealed. When the metrics float on the top third portion of these metrics parameters, Google will consider it as a fast site, if the metrics lie in the bottom one-third portion, then it will be considered as slow. First paint content is initiated when the content of any form is painted. It could be text, canvas or image. Now, this will be about user experience note, it actually detects the complete content load time, not any slight changes. This reports the time when the first HTML document gets loaded and it does not consider other components’ loading time like the style sheet, images or sub-frames. Basically, Google rates speed in their categories that are, fast, average and slow and this measured according to the median value point. All the pages’ load time median value should be in the fastest third portion of the metrics. The median value should be in the middle third of all of the page loads. The median value should be in lowest/ slowest third of the load. • First, you have to collect the performance data using the lighthouse or PSI tools to understand the details about the page speed data. • Then you have to look at the page load distribution section to identify the FCP and DCL distribution pattern and then take the necessary action to optimize the speed. The following are a few surefire and effective ways of optimizing the speed of your site so that you can get better speed and improve your ranking. When you have blank .htaccess or less customized files, it can hamper your speed however, you can use the below-mentioned code to optimize the speed.